Can the only #1 seed left in the Final Four finish the season on top? 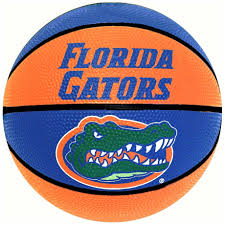 Billy Donovan’s Florida Gators entered the 2014 NCAA men’s basketball tourney as the number one overall seed. With only three games left in the tournament, Florida remains the only #1 seed and is the odd-on favorite to hoist the trophy on Monday night. The Gators have a lot history in their favor in the Final Four: This is the fourth year of the last five where only one #1 seed remains in the Final Four. In the previous three instances, the only remaining #1 seed eventually won the tournament. Since the NCAA went to a seeded bracket in 1979, there have been 13 cases where only one of the four #1 seeds made it to the Final Four. That #1 seed has won eight of those 13 Final Fours. In the 36 years since the NCAA began using the seeded brackets, a #1 seed has won 20 (57.1%) of those tournaments. Here’s a seeded breakdown of the past 35 men’s NCAA basketball champions. Jerry, you need to publish informative articles like this BEFORE I fill out my brackets! LOL!! Bill: Thanks for the comment. You made me laugh! I wish I was smart enough to publish these things beforehand to possibly make a few bucks in the process. Hope you are well.